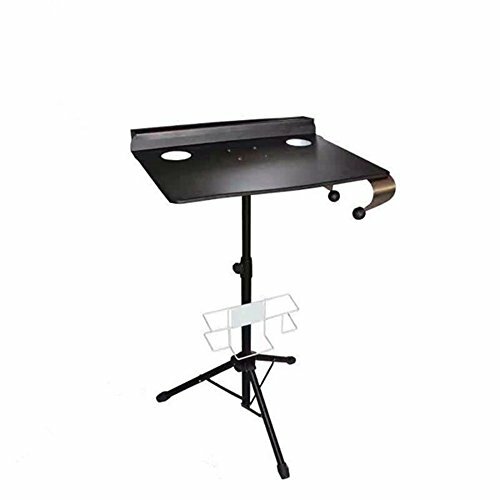 The Tattoo Workstation table is light enough to position anywhere you need it.With a sturdy tripod base which is fully adjustable, This allows you to work quickly and comfortably while sitting or standing anywhere! This professional tattoo workstation is fitted with a removable back tray that holds all your essential ink bottles, two areas to securely place a wash bottle and water cup, a paper towel holder, and a caddy for plastic glove storage. The Piercing Pros tattoo table is sure to fill tattoo needles and comforts of all ranges of tattoo studios. Tattoo workstation table can be easily disassembled to 25" x 14" x 5", making traveling simple and convenient. PROFESSIONAL - Professional YUELONG tattoo supplies, help you to finish a healthy and beautiful tattoo.If you have any question,welcome contact at free time,we will solve for you.